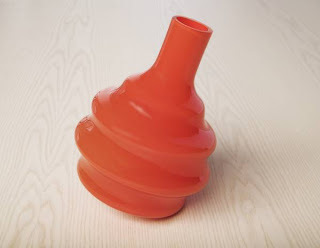 The Swedish design company Vujj has been turning out some winners lately. 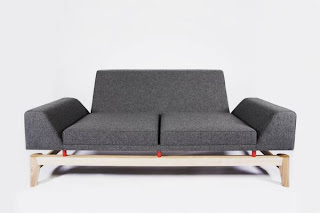 One of my favorites is their 'Flight' sofa - a piece of furniture that has it's priorities in order. This sofa just looks relaxed. I like a couch that allows you to ease back and won't leave your legs dangling helplessly over the edge. Although it does look like it may benefit from a throw pillow or two, the scale and the materials are great. Also by Vujj are these lovely 'Don't Touch' vases. Made from hand-blown glass, the tilt makes them a fun addition to the coffee table.